Big spoilers about to follow for The Flash episode 14, because about a 1000 huge things happened in the episode. Flash/Firestorm team-up, Speed Force references, Green Lantern references (kinda) oh and a Reverse Flash/Grodd team-up. I just can’t even comprehend the awesomeness I just witnessed, because this is how you do a comic book show! 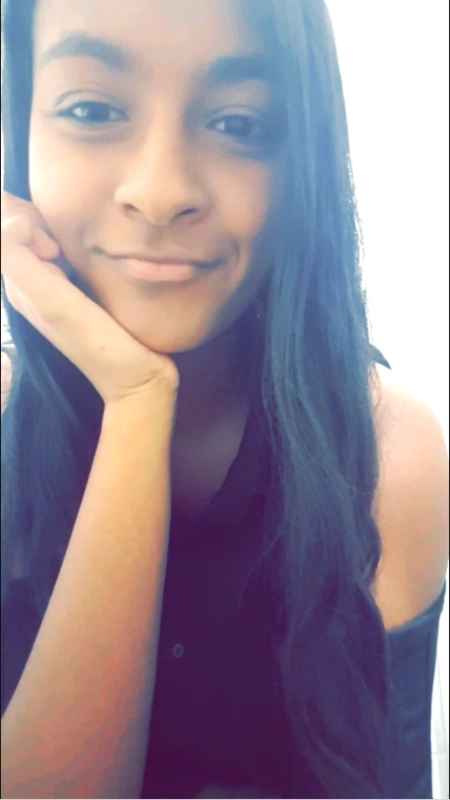 So clearly I’m very excited to discuss The Flash episode 14! So first lets talk about the time travel aspect of The Flash episode 14. Barry of course finds out that he is capable of time travel. Professor Stein goes on to talk about this ‘highway’ where time travel is possible. That highway he was describing is the Speed Force. An extra dimensional place where Barry’s powers tap into. Unfortunately Barry hasn’t really thought this whole time travel thing through and is determined to go back in time to stop his mother’s murder….even though it will completely change the present! (I wrote more about the Speed Force, and where The Flash could potentially go with time travel in this post). 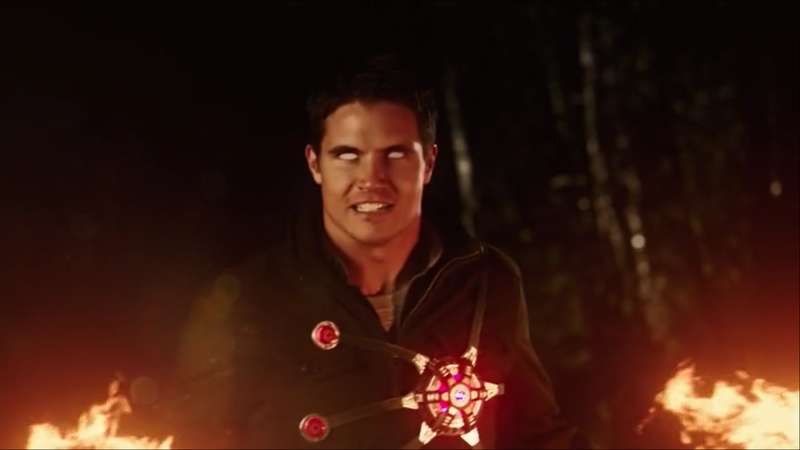 That aside, the main focus of episode 14 was Firestorm. With the pair now able to control their powers a little more, we get to see a greater extent of their powers. Firestorm may have flown off for now (outside in the open, where all the neighbours can see by the way), but we should see them again near the end of season one. And how beautiful was that shot of Firestorm flying off and The Flash running off together, felt like I was watching a movie. What I’m really interested in seeing is the inevitable meeting of Firestorm and Arrow. And The Flash episode 14 may have not presented us with a freak of the week, as the villain of the episode was Eiling and the military, who think they can just shoot up a public cafe without anybody saying anything. 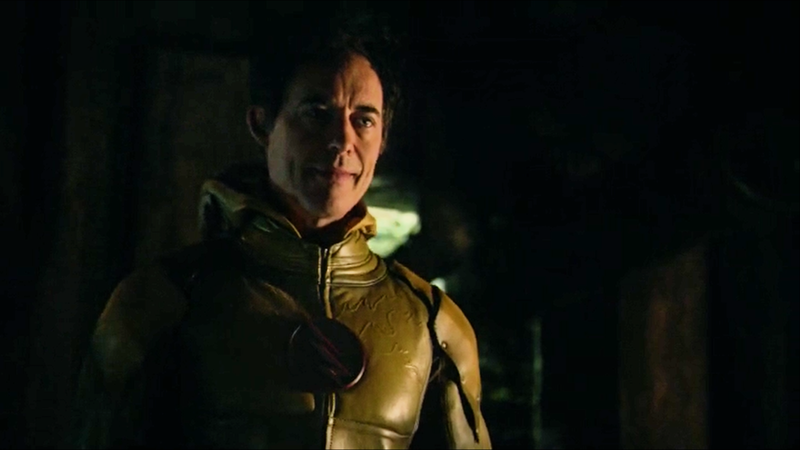 But thankfully our good friend, Reverse Flash aka Harrison Wells (just in case there were some who still believed he wasn’t Reverse Flash), had a plan to take Eiling down. When Eiling mentioned him torturing a gorilla, we all knew who that gorilla would be, but I was definitely not expecting that ending. As much as we are all fans of superhero team-ups, villain team-ups are just as much fun. So how great was it to see Reverse Flash whip Eiling up and make him face the wrath that is Grodd. I was a little worried they would just make Grodd an angry advanced gorilla, without really giving us the Gorilla Grodd we know from the comics, but then he spoke and it was glorious! Now of course Gorilla Grodd is also supposed to have advanced psychic abilities which was hinted at in tonight’s episode when Eiling talked about that voice in his head. Unfortunately The Flash episode 14 will be the last new episode we see in a while, as episode 15 comes out in one month (boo). And judging from that promo it’s going to be a good one. 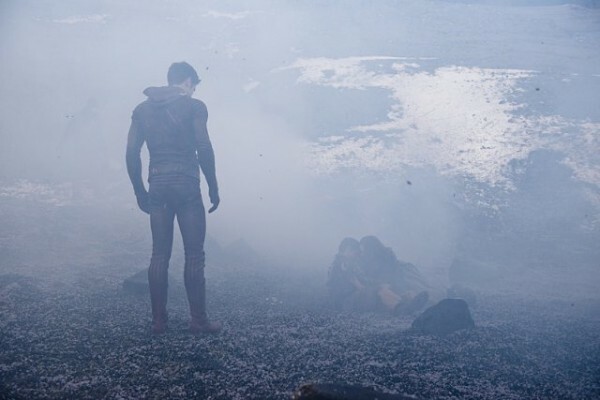 The promo for episode 15 gave us a brief glimpse of Harrison Wells using his powers to seemingly be in two places at once. Now the question for a while has been, if Reverse Flash is Harrison Wells, how could he have beaten himself up all those episodes ago. My theory was that there are actually two Reverse Flashes, one of which is Eddie Thawne (you can read more about that theory here), but now it seems as though Harrison may be the only one and he was just able to make himself beat himself up, by going so fast he was able to be at two places at once. Still I have to believe that Eddie Thawne will become the Reverse Flash, because there’s no way the writers created this character, with that last name for shits and giggles. I guarantee that Eddie has a much larger role to play in all of this. Oh and as for that Coast City reference, I hate that they keep giving us Hal Jordan teases, when I don’t really believe we will ever see Green Lantern. Though it would be pretty incredible to see the superhero bromance of Barry and Hal unite on the small screen. I love that The Flash episode 14 has kept us guessing about what is happening with Wells. Seeing The Flash really embrace its comic book roots, has made it one of the most entertaining shows of television right now, can’t wait to see what further mischief this Reverse Flash/Grodd team-up get to! Arrow S03E14 Discussion: Slade Wilson, we miss you. Great episode, great write-up! I am now probably the only person still in the ‘Harrison Wells is secretly a good guy’ camp! Haha I don’t think he is fully evil. I think he’s one of those good intentions, bad execution type of guys, so there could be redemption! Yes I saw that picture of the Amells, so exciting!